Raquel Almazán recently appeared in an episode of "Law & Order Special Victims Unit" (NBC). Lina Sarrello is quite busy these days. The actor-playwright-choreographer is in rehearsals for her role as Lady Capulet in the Soñadores Inc./Teatro LA TEA production of Romeo and Juliet (for which she is also co-choreographing). That play is scheduled for a May premiere at LA TEA's theater in the Loisaida neighborhood of Manhattan. In addition, two plays that she wrote were selected for production in two festivals. Her play Life Could Be Un Sueño is slated to open the Downtown Urban Theater Festival at the HERE Arts Center in the SoHo neighborhod of Manhattan and her solo show ¡Oye Mami! was selected to be presented at The ONE Festival at LA TEA. Teatro LA TEA will present the fourth annual festival of monologues/solo shows. Titled The ONE Festival, the festival is scheduled for April 2009 at LA TEA's eponymous theater in the Loisaida neighborhood of Manhattan. The festival will present plays by Lina Sarrello (see above), Carlos Andrés Gómez, Danny Gonzales, Micia Moseley, Tanya Pérez, Sunilda Caraballo and others. 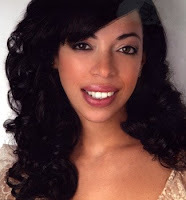 The Downtown Urban Theater Festival will present plays by playwrights Lina Sarrello (see above), Carlos Andrés Gómez, Mel Nieves, Patricia Ione Lloyd, Dina Laura, Pamela Sneed, Paul S. Flores, Julio Cárdenas, KimLeigh Smith and others at the HERE Arts Center in New York in June 2009. --You can call HOLA at (212) 253-1015, e-mail us at holagram@hellohola.org, or just charge your contribution online by clicking here and make a donation. It's that easy. This piece of bochinche is fun. There are four HOLA members in this commercial spoof. The casting directors came to HOLA for our assistance. The HOLA members in this spoof are Ernesto López, César De León, Daisy Taveras and Walter Krochmal. --Adriana Gaviria will soon be seen in the West Coast premiere of Octavio Solis' play Lydia. Directed by Jasson Minadakis, the production will take place at the Marin Theatre Company in Mill Valley, California. 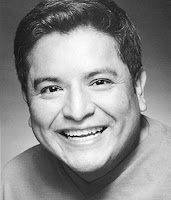 --Gilbert Cruz will be appearing in the annual benefit and performance of 7th Inning Stretch, a series of ten-minute plays about baseball. The performance will take place at the DeBaun Performing Arts Center in Hoboken, New Jersey. --Miriam Cruz, Ernesto De Villa Bejjani, Bárbara Jiménez, Rosie Berrido and Angélica Ayala can be seen in Marcelo Rodríguez's play Cartas a una madre. Directed by José Zayas, the play won the 2005 MetLife Nuestras Voces New Plays Competition and was produced by Repertorio Español in their eponymous theater. --Also at Repertorio Español is the stage version of the Isabel Allende novel La casa de los espíritus. Adapted by Caridad Svich and also directed by José Zayas, the play, which received rave reviews from The New York Times, features Denise Quiñones, Nelson Landrieu, Beatriz Córdoba, Selenis Leyva, Ernesto DeVilla Bejjani, Rosie Berrido, Gabriel Gutiérrez, Eric Robles, Kika Child, Ana Verónica Muñoz and Laura Gómez in the cast. 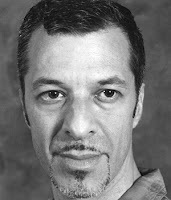 Enmanuel García is producing and directing a Spanish language adaptation of William Shakespeare's Macbeth. 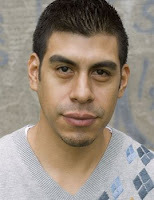 Slated for an April run at the Red Carpet Theater in the Taíno Towers in Manhattan's El Barrio neighborhood, the play features Basílica Bliachas, Arturo del Puerto, Peter A. Dubó, Magnolia Núñez, Julio Ortega, Héctor Luis Rivera, Inma Heredia, Ricardo J. Salazar and Silvia Tovar in the cast. For more information on becoming a member, go to the HOLA website.